Before starting this demo application, I am assuming that you already have done CC&B set up on your local and Eclipse is configured. What I am going to do so that I can use Business Script, Data Area, UI Map and BPA Script? In this tutorial, I will create one UI Map which will take the person name as input and display list of all the person names as per input. We would start from creating the Data Area. “Data Area” in ORMB is used to transfer the data between applications. It is always good practice to use the Data Area rather than writing the Schema again and again. There are lots of advantages of using Data Area in application. 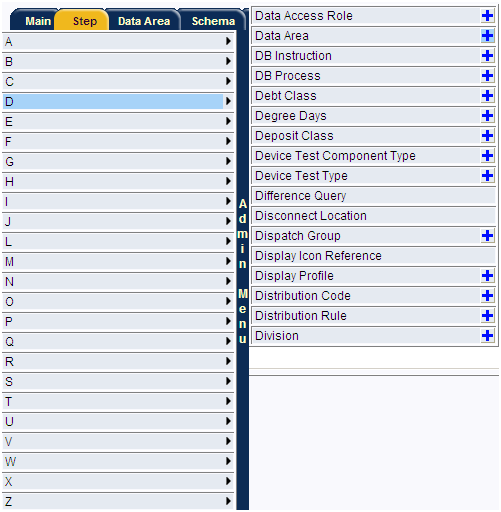 To create Data Area, Go to “Menu (Alt + M) | Admin” Menu and in that “D | Data Area +“. In the above schema I am passing the “ENTITY_NAME” in header (pageHeader) so that I can get the user input in request and in return (pageBody) user will have the List of Person Name. In Next article we will see how to create the Business Service and Service Program in ORMB. Interesing article and Nice blog greetings! Great tutorial for creation guide of Business Service! Hi Jithendra , Can I know the general list of interview questions for 2+ years experienced on Oracle CC&B tool and OUAF? how can we install cc&b in our local and what are the thing we need to keep while installing cc&b? It´s possible in CC&B 2.3.1?